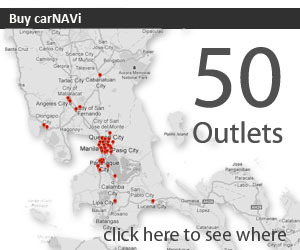 carNAVi is continously improving the digital GPS map of the Philippines and we would like to encourage you to actively help in getting the maps better by reporting incorrect map and routing data. Please select the type of change and describe it as detailed as possible. If you know the coordinates, please enter them also with your comment. You may upload your recorded tracks, waypoint files, a screenshot, scetch or other file to support your report. Thank you. By uploading data, or engaging in any other form of communication through this service, you are granting carNAVi Corporation a royalty-free, perpetual, exclusive, unrestricted worldwide license to process the submitted data. Please combine multiple files into an archive using zip, 7-zip* or rar. More information about contributing data are available at this article or at our FAQ.